The Shadow Clinic New Zealand has teamed up with Q Card to offer New Zealand customers Interest Free Finance for their Scalp Micro Pigmentation Treatment subject to approval. Simple click on Q Card below to fill out your easy finance available form for your Scalp Micro Pigmentation Treatment and your brand new immediate hairline. Hey Buddy!, I found this information for you: "Interest Free Hairloss Treatment Finance". 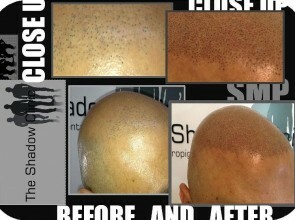 Here is the website link: http://www.theshadowclinic.co.nz/interest-free-hairloss-treatment-finance/. Thank you.